The Austrian-born philosopher Ludwig Wittgenstein, sadly died 29 April 1951. He was born 26th April 1889 and worked primarily in logic, the philosophy of mathematics, the philosophy of mind, and the philosophy of language, and was professor in philosophy at the University of Cambridge from 1939 until 1947. During his lifetime he published just one book review, one article, a children’s dictionary, and the 75-page Tractatus Logico-Philosophicus. In 1999 his posthumously published Philosophical Investigations was ranked as the most important book of 20th-century philosophy, standing out as “…the one crossover masterpiece in twentieth-century philosophy, appealing across diverse specializations and philosophical orientations”. He was Born in Vienna into one of Europe’s wealthiest families, he gave away his entire inheritance. Three of his brothers committed suicide, with Ludwig contemplating it too. Wittgenstein’s influence has been felt in nearly every field of the humanities and social sciences, yet there are widely diverging interpretations of his thought. In the words of his friend and colleague Georg Henrik von Wright: “He was of the opinion… that his ideas were generally misunderstood and distorted even by those who professed to be his disciples. He doubted he would be better understood in the future. He once said he felt as though he were writing for people who would think in a different way, breathe a different air of life, from that of present-day men.” He is buried at the Ascension Parish Burial Ground in Cambridge. his legacy lives on and In 1999 the Investigations was ranked as the most important book of 20th-century philosophy, standing out as “…the one crossover masterpiece in twentieth-century philosophy, appealing across diverse specializations and philosophical orientations”. The Day of Remembrance for all Victims of Chemical Warfare takes place annually on April 29 as a “tribute to the victims of chemical warfare, as well as to reaffirm the commitment of the Organization for the Prohibition of Chemical Weapons (OPCW) to the elimination of the threat of chemical weapons, thereby promoting the goals of peace, security, and multilateralism.” April 29 was chosen as the date for the event’s celebration because the Chemical Weapons Convention entered into force 29 April 1997. It is officially recognised by the United Nations (UN) and has been celebrated since 2005. On the 2013 observance day, the UN Secretary-General Ban Ki-moon Urged the international community to intensify efforts to rid the world of chemical weapons, along with all other weapons of mass destruction and also urged them to work together to bring all States under the Convention and promote its full implementation to honour past victims and liberate future generations from the threat of chemical weapons. Although the majority of the world has either given up or destroyed their stockpiles of chemical weapons as of 2013, several nations have yet to do so. 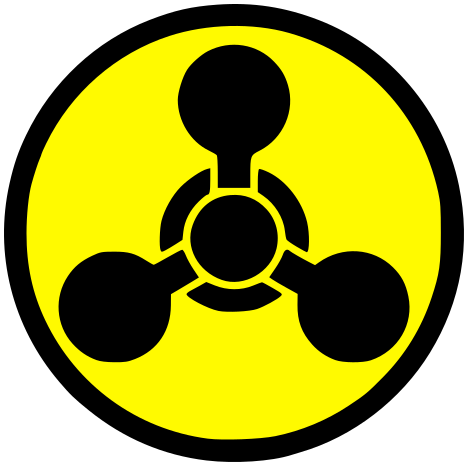 Five of these, Angola, Burma, Egypt, Israel, and North Korea, have not ratified the Convention and are suspected to possess chemical weapons. Syria is also known to possess a sizeable stockpile and Secretary-General Ban Ki-moon noted this in his 2013 speech, condemning the nation for its alleged exploitation of chemical weapons in its ongoing civil war. On September 14, 2013 the United States and Russia announced in Geneva that they reached a deal whereby Syria would ratify the treaty and give up its chemical weapons. The Syrian government has been cooperating and as of November 2013, all but one of Syria’s 23 publicly declared chemical weapon sites have been visited by international inspectors that are dismantling the Syrian chemical weapons program. During his career. Hitchcock also developed many pioneering techniques in the suspense and psychological thriller genres during which he created a distinctive and recognisable directorial style. He pioneered the use of a camera made to move in a way that mimics a person’s gaze, forcing viewers to engage in a form of voyeurism. He framed shots to maximise anxiety, fear, or empathy, and used innovative film editing. His stories frequently feature fugitives on the run from the law alongside “icy blonde” female characters. Many of Hitchcock’s films have twist endings and thrilling plots featuring depictions of violence, murder, and crime, although many of the mysteries function as decoys meant only to serve thematic elements in the film and the extremely complex psychological examinations of the characters. Hitchcock’s films also borrow many themes from psychoanalysis and feature strong sexual undertones. Through his cameo appearances in his own films, interviews, film trailers, and the television program Alfred Hitchcock Presents, he became a cultural icon. Sadly In recent years Lee’s health had declined and she lived for several years in a nursing home less than a mile from the house in which she had grown up in Monroeville, Alabama – the setting for the fictional Maycomb of her famous bestselling 1961book To Kill a Mockingbird, which became a best seller and sold more than 40 million copies around the world and earned her a Pulitzer prize. Lee was also awarded the presidential medal of freedom in 2007 by George Bush. She sadly died February 19 2016 at the age of 89 and will be sadly missed. However Chrysler found themselvesUnable to operate Lamborghini profitably, so they sold Lamborghini to Malaysian investment group Mycom Setdco and Indonesian group V’Power Corporation in 1994. Sadly Lamborghini’s financial difficulties continued throughout the 1990s, until Mycom Setdco and V’Power sold Lamborghini to the AUDI AG subsidiary of Volkswagen Group on 27 July 1998. Audi’s ownership marked the beginning of a period of stability and increased productivity for Lamborghini. Sales increased nearly tenfold over the course of the 2000s, peaking with record sales in 2007 and 2008. Unfortunately The world financial crisis in the late 2000s negatively affected all luxury car makers worldwide, and caused Lamborghini’s sales to drop nearly 50 percent. Lamborghini’s Sant’Agata Bolognese production facility produces V12 engines and finished automobiles. Lamborghini’s current production vehicles are the V10-powered Gallardo and the V12-powered Aventador. Both production models are available in a variety of regular and limited-edition specifications as well as Roadster versions. Lamborghini also produce the Reventon and the Huracan, which is the replacement for the Gallardo plus a variety of Concept models.